I've spent a lifetime travelling all around the United States and the world, but lately I'm totally in the groove of doing simple drive trips. It works with my schedule and my new budget. I'm enjoying these trips, since I'm seeing more of the corner of my current world. I hadn't been to the Wisconsin Dells since my childhood. The last time I was there I was with my dad, my mom and my kid brother. We saw Tommy Bartlett's Water Show, rode on an Original Duck and bought a few trinkets in the Parson's Indian Trading Store. I vividly remember purchasing a rabbit's foot and a brown coin purse (with a Wisconsin Dells logo on it) at the store. That was a long time ago. Last week, my mom and I drove up to the Dells. My father would have loved the journey, but he passed on six years ago, so it was an in memoriam trip. My kid brother is now pushing a certain milestone age, he's married and I can't picture him taking a trip with his mom and his sister. My senior mom and I had a terrific time; and I'm hoping to take another ride up to the Dells within the next couple of years; and as my mother is fond of saying - God willing. It's a virtual hop, skip and a jump out of Chicago. It took us 3 hours and 40 minutes to go northwest into the dairy state and outside of a couple of bad meals, we enjoyed every second of our vacation. It was a lovely drive. The skies were blue with some light billowy clouds all the way from Chicago to the Dells. While in the Dells one has lots of options. Since we had no kids or teens travelling with us we didn't want to escape into the Waterpark Capital of the World. Quite frankly, there are too many waterparks. Kids and their parents should attempt to enjoy the nature and history of the area as opposed to spending every second at a waterpark. Having said that, there are waterparks and roller coasters every which way you turn. Check out the gigantic Trojan horse statue. The Tanger Outlet mall is nothing more than an acceptable outlet. It's nothing out of the ordinary, but I must admit if I see an outlet I stop in. The Ralph Lauren Polo shop is huge, so this is one of the highlights of this outlet. The Indian Trading Post is fantastic. It was there when I was a kid and it is still in operation. They have a wide assortment of Native American items. I bought some stunning Native American Christmas cards and two refrigerator magnets. One of the magnets was made in China and the other one was made in Canada. Clearly, Americans can't make a refrigerator magnet. The Post is fabulous and this is a must during your stay in the Wisconsin Dells. It's a store and a mini-Museum. Lots of photo ops are on the outside, including several totem polls. The Original Duck ride was terrific. We did this forty years ago and I didn't remember too many specifics, but this one hour ride over land and water was quite fun. It's a bit pricey, so please note that this isn't an inexpensive tourist destination. 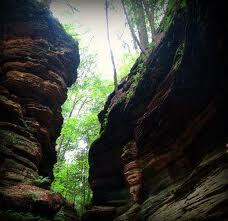 However, it is a a nice expedition through the local forestry and waterways of the Dells. Tommy Bartlett's Water Show was high camp and kitsch at its best. This show has been around for sixty years and quite frankly outside of the staffing line-ups not a whole lot has changed, but it is enjoyable, but again it is campy. Hokey jokes, a goofy clown and pretty girls in bathing suits. The Dells Boat Tours offer superb rides through the Upper Dells and another trip through the Lower Dells. I went on the Upper Dells tour and the scenic beauty is on full display. We received a significant discount by staying at the Great Wolf Lodge. This lodge is quite interesting! If you don't have a child in your party you may want to stay elsewhere since this is quite kid-centric, but the kid at heart will enjoy the stay too. It's a gigantic property right off of the Interstate and the waterpark is a great way to spend an afternoon. It's also located directly across from the Outlet Mall. If you were a kid when Sinclair stations were all over the Midwest then you will recall the green brachiosaurus/brontosaurus. I did a photo op with the big green Sinclair dinosaur for old times. Fun and a moment of sentimentality. There are two Sinclair stations in town. There is a smaller dinosaur statue for a full view photo and a giant one right by the Great Wolf Lodge. The River's Edge Resort restaurant provides a good meal at an excellent price. I indulged in grilled salmon, a baked potato, Texas toast and a large sum of baby carrots for $14.95. The restaurant has a nice ambiance, including several gorgeous aquariums. This meal is a true value and it is also one of the better meals you will get in the Dells. There is a tremendous amount of natural beauty in the area, including three state parks, so hiking, backpacking and cycling are a must for the adventure lover. Wisconsin is just a rocking beautiful state! 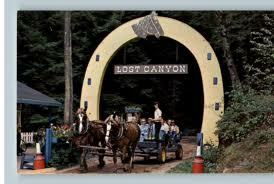 The highlight of the Wisconsin Dells trip was the 1/2 hour horse drawn carriage through the Lost Canyon. I loved this place and so did everyone else I encountered on our journey. The canyon is 500 million years old. The Winnebago Indians used to meet here for their tribal gatherings. This canyon is stunning. Please don't take history and nature for granted. The great breeds of workhorses (Percheron, Shire, Clydesdale and Belgian) go two by two down the narrow canyon and the guides are joyful in their descriptive tales of the historic canyon. Support small business, but more importantly, enjoy the pleasures of God's beautiful planet and appreciate the history of the area. Let's try to get this canyon protected status by the state of Wisconsin. Go to the Wisconsin Dells. Enjoy your journey.